Competition: Win a Pair of Tickets to “Pokémon the Movie: The Power of Us” This Weekend! With one last chance to see the anime feature film Pokémon the Movie: The Power of Us in select cinemas this weekend, we’re delighted to announce that CinEvents and Hope & Glory PR are offering two of our lucky readers a pair of tickets to see the film this weekend! For a chance to win, all you have to do is follow us on Twitter and reply to the embedded tweet below with your favourite Pokémon! #Competition: This weekend's your last chance to see #PokemonThePowerOfUs in cinemas – and we have 2 pairs of tickets to give away! There will be 2 winners of 2x tickets to see Pokémon the Movie: The Power of Us in participating cinemas this weekend. No cash alternative is available. The competition will run until 20:00 on 29th November 2018. Winners will be chosen and contacted that evening. To enter, follow @AnimeUKNews on Twitter, and reply to the embedded tweet with the name or an image of your favourite Pokémon. You must continue to follow @AnimeUKNews at the time of drawing for your entry to be valid. Entry is open to residents of the UK and Ireland only, with the exception of Anime UK News staff. Fathom Events confirms details for the UK and IRE release of anime film “Pokémon the Movie: The Power of Us”. Pokémon the Movie: The Power of Us is among the best Pokémon movies ever made. 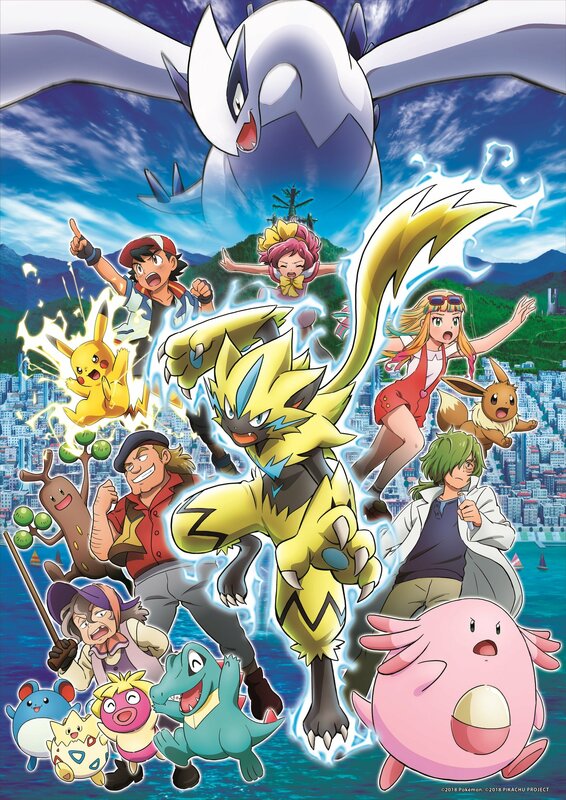 With a varied cast of characters and less focus on Ash and Pikachu, the film succeeds in offering a unique story that fans of all ages can enjoy. Pokémon the Movie: The Power of Us Available Digitally Now! Following its limited theatrical run last month, Pokémon the Movie: The Power of Us is now available to rent or buy on digital platforms like iTunes and Google Play!